Norselaw, a.k.a. 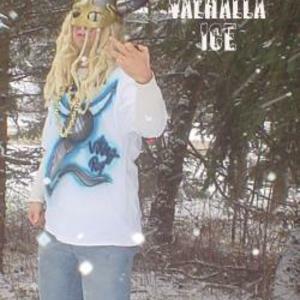 Valhalla Ice born Sigmund Viekernes a second cousin of Varg Viekernes, immigrated to the United States from Norway during the final years of the second millenium A.D. Despising the conformity in both the world of black metal and in the pervasive hip-hop culture surrounding him in Cleveland, Ohio he decided to rebel with a vengance toward everyone around him. Summoning the Dionysian forces which were unconquerable within him he created three albums merging black metal and rap one of which was released in stores nation wide through a division of Warner Brother's Records.